CVG Seating (India) Pvt Ltd conducts its research and development (R &D) activity at Pune. 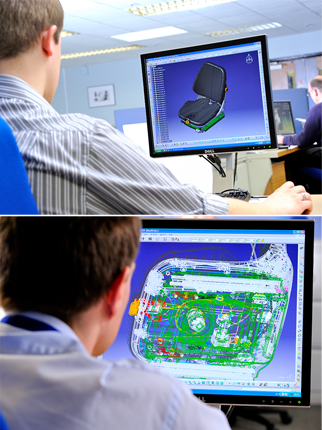 The Team uses 3D CAD design tools as Catia V5 / Solid works to create and prove innovative seating solutions in a simulated condition before prototype samples are made and physical tests are conducted. The Team works in close liaison with CVG Shanghai (China) and CVG Northampton (UK) especially for suspension seat development and its critical testing. Full fledged test lab is planned in stages at Pune to support Suspension seat development.